“It’s the most wonderful time of the year.” So says the song about Christmas. A big-box stationery chain uses it for back-to-school. And I use it for competitive curling season! The Scotties Tournament of Hearts, the Brier, and the Worlds are annual standbys, but every four years, we are blessed with the Olympics, and the trials that choose the men’s and women’s teams that will compete on Canada’s behalf in the Olympics. It’s a wonderful time to see some outstanding curling. I know, I know – some of you think that watching curling is akin to watching paint dry. But some of us find it pretty exciting both to watch and to play! My point is not to try to convert you to being a curling fan; the Lord will do that in good time! Here’s something I noticed, though, watching the curling trials from Winnipeg last weekend: there are a lot of familiar names with slightly different faces. So what? you might ask. When I see the same surname on a different face, I’m usually looking at the next generation. Take John Morris, skipping a BC team, whose father was a competitive curler, and who now coaches a women’s team; or Scott Howard, playing for his father, Glenn, in Ontario. The passion for curling is strong enough that the next generation wants to take it on. 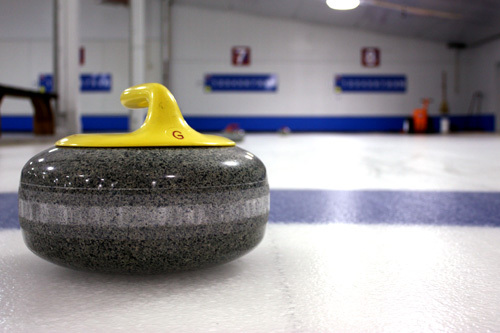 I think the church can learn something from competitive curling. In Deuteronomy 6.4-9, we read: “Listen, O Israel! The Lord is our God, the Lord alone. And you must love the Lord your God with all your heart, all your soul, and all your strength. And you must commit yourselves wholeheartedly to these commands that I am giving you today. Repeat them again and again to your children. Talk about them when you are at home and when you are on the road, when you are going to bed and when you are getting up. Tie them to your hands and wear them on your forehead as reminders. Write them on the doorposts of your house and on your gates” (NLT). Way back in the time of Moses, God’s people were enjoined to make their faith-sharing organic: they were called to make their walk with God a family affair. It’s no different today. What is different, though, is the circumstances around which we seek to follow this command. There are so many influences on our kids’ lives nowadays that the task of being a Christian parent is about the hardest job known to humanity; I salute every man and woman who seeks to follow Jesus and encourage their children to do so. And I pray for parents who seek to raise their children to be followers of Jesus. One of the things I pray for parents is that they will have such joy and enthusiasm for their faith that their kids will want a taste of that joy and enthusiasm for themselves. If you’re trying to help your kids love Jesus, show them how much you love him! I’m in your corner; you’ve got a tough job. But more importantly, God is with you.